We were recently in Sta. Ana, Pampanga for a meeting with fish farmers arranged by the Santeh Feeds, Corp., a major aquafeeds producer in the country that is helping fishpond operators cope with climate change. We value such meetings that enable us to interact with fish farmers and to learn from their experiences. Among the interesting lessons we gathered were about the pesky Chinese soft-shell turtle, the alternate rice and fish farming system, and the possible use of floating aquatic plants for reducing the incidence of “fish kills” in freshwater fishponds. 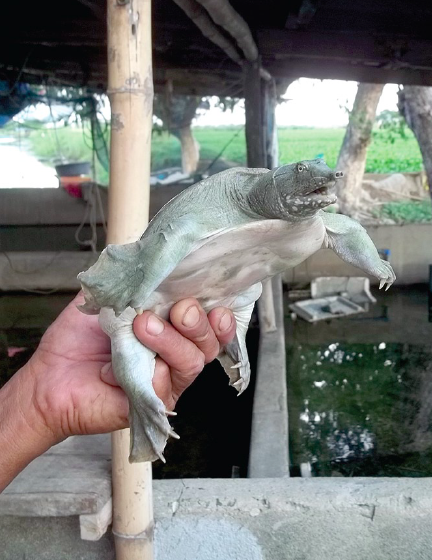 The Chinese soft-shell turtle, scientifically known as Pelodiscus sinensis and locally called “pagong,” is an introduced aquatic reptile in the country that has become a pest as an invasive species in the freshwater ponds of Central Luzon. The turtle burrows and breeds in the dikes of fishponds and preys on the fingerlings of cultured tilapia. Being carnivorous, it actively feeds at night on fish, crustaceans, mollusks, and insects. The pagong was declared an “Invasive Alien Species” by the Department of Environment and Natural Resources in the 1990s. 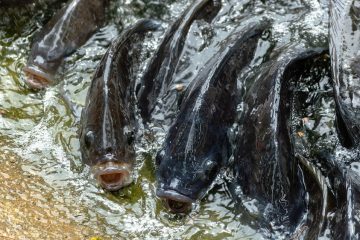 It was found to have caused losses to fish farmers in the municipalities of Arayat, Candaba, San Luis, Minalin, Macabebe, and Apalit in Pampanga. 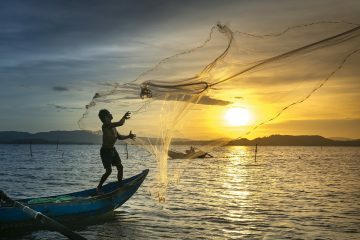 We were informed by fishfarmers that the turtle can be easily caught by snagging with nets. It is now being collected and sold at Php50 per kilo as a food item. It is cooked “adobo”-style and is on the menu of a high-class restaurant in Angeles City. Turtle soup is a delicacy in China, Taiwan, Vietnam, Japan, and Russia. In 2012, the DENR reported that 349,170 turtles or 236,125 kilos of turtle meat were harvested in Pampanga alone. From Ronald Asana of Canlating, Arayat, Pampanga, we learned about the practice of alternating rice and fish production in ponds. 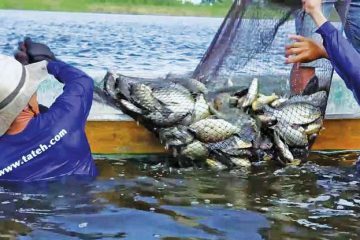 Ronald’s neighbor harvested 21 tons of tilapia from an 8-hectare fish farm using only 300 sacks of commercial feed; this cost him Php210,000, or Php26,250 per hectare, after six months of culture, while Ronald harvested 41 tons of fish from his 17-hectare farm using 1,300 sacks of feed that cost him Php910,000 or Php53,529 per hectare. Ronald’s neighbor netted more income per hectare with lower feed costs because he stocked the tilapia fingerlings in the same area where rice was planted, just right after harvest. 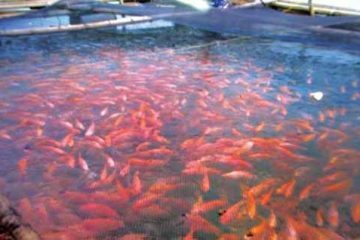 The remaining rice stubbles in the inundated rice field used for tilapia culture contributed much to the natural food of the fish produced in the pond with the fertilizing effect of the decomposing rice residue. 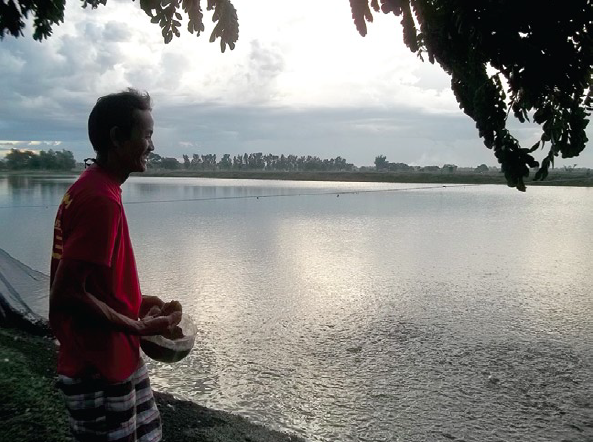 The third lesson we learned from a fish farmer of Pampanga was the possible cooling effect of floating aquatic plants in ponds as a coping strategy for climate change. Mike Meneses of Magalang, Pampanga shared his experience at the meeting, saying that for the last two years, he has allowed aquatic plants like the water hyacinth to cover, at most, 25% of the surface of his tilapia ponds. He said that there was no fishkill in ponds which had that kind of plant cover compared to ponds without the plant cover. Luzon), 60 days from the stocking of fingerlings. 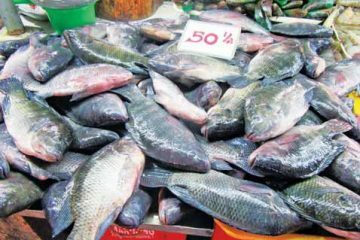 She explained that if fish farmers harvested their fish in April and restocked their fingerlings in May, fewer or even no fishkills will occur because the smaller fish are more tolerant of warmer water temperatures than bigger fish. 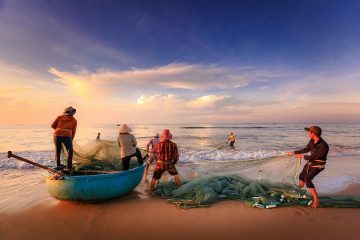 Learning from the experiences of fish farmers can truly be most rewarding. This first appeared in Agriculture Monthly’s July 2014 issue.